Maurizio Sarri has remained coy over reports suggesting Chelsea have agreed a deal with Juventus to sign Gonzalo Higuain on loan. The Blues will be aiming to build on their 2-1 win over Newcastle United when they take the trip across the capital to face Arsenal at the Emirates Stadium on Saturday in the Premier League. Ahead of what promises to be an exciting London derby, rumours have been circling around regarding Chelsea’s potential swoop for Higuain, who is considered a short-term fix to their problems in front of goal. Despite the links suggesting Chelsea have reached an agreement with Juventus, Sarri has opted to remain coy over a potential reunion with Higuain at Stamford Bridge at the moment. The Italian maintained he has no knowledge of Chelsea’s progress in the market and insisted he would rather invest his time on the training pitch. “I don’t know. 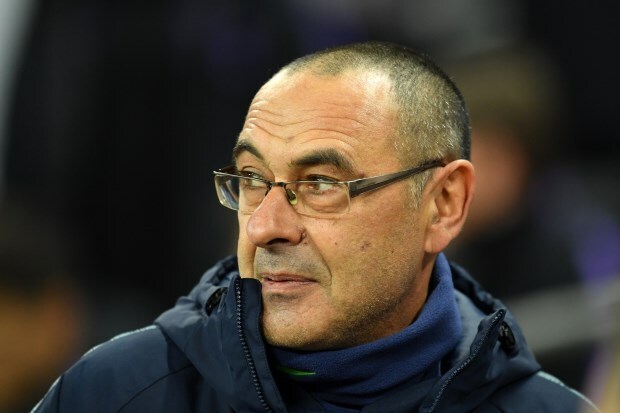 I want to be clear, I spoke to [director] Marina [Granovskaia] two weeks ago, she knows my opinion and then I decided to be focused on the pitch and training”, Sarri said in a press conference via Chelsea TV. “I don’t call her every evening, otherwise I spend my energy on the market. Higuain equalled the record for the most number of goals scored in a Serie A campaign when he netted 36 goals under Sarri at Napoli during the 2015/16 season.